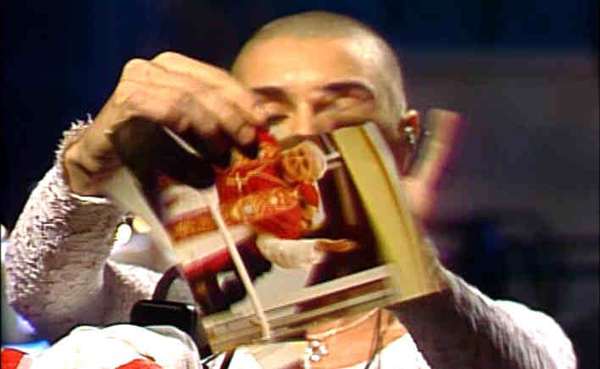 On October 3, 1992, Sinead O’Connor appeared on Saturday Night Live as a musical guest where she sang an acappella version of the Bob Marley song “War“. 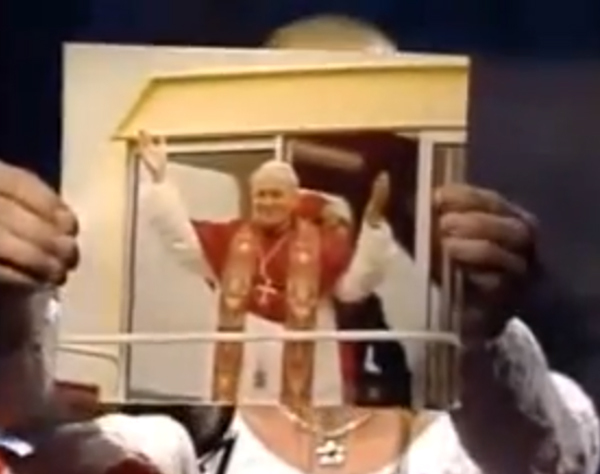 She sang that song as a protest over the sexual abuse in the Roman Catholic Church and changed one of the key lyrics from “racism” to “child abuse.” She then presented a photo of Pope John Paul II to the camera while singing the word “evil”. She then threw the torn pieces of the photo towards the camera. As we always do here on feelnumb.com, we wanted to find information about the photo O’Connor tore on stage on SNL. After some thorough research, the photo comes from Pope John Paul II historical visit to O’Connor’s native Ireland on September 29, 1979. 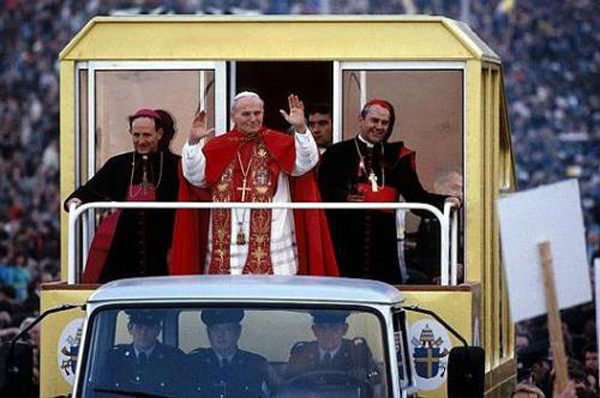 I haven’t been able to find the exact photo yet, but here is another photo taken that day of John Paul II riding in the “Pope Mobile”. 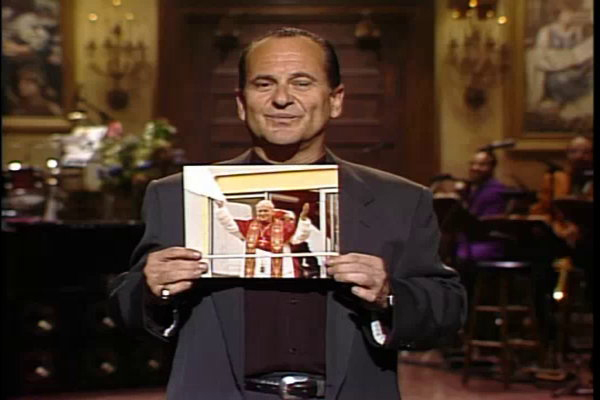 As part of SNL‘s apology the following week, host Joe Pesci held up the photo, explaining that he had taped it back together. He then tore up another photo of O’Connor to a huge applause. O’Connor’s career was never the same and she was lambasted for the apparent atrocity against the pontiff and the Roman Catholic Church. Yet, as of 2012 the American Roman Catholic Church alone has spent at least $2.2 billion settling litigation related to the “Child Abuse” that O’Connor spoke of. There may have been as many as 100,000 total victims of clerical sexual abuse by the church. Pope Benedict XVI wrote a pastoral letter of apology — of sorts — to Ireland to atone for decades of sexual abuse of minors by priests whom those children were supposed to trust. 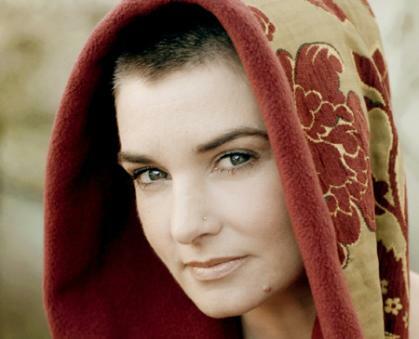 I for one, think that Sinead O’Connor deserves an apology from the church.